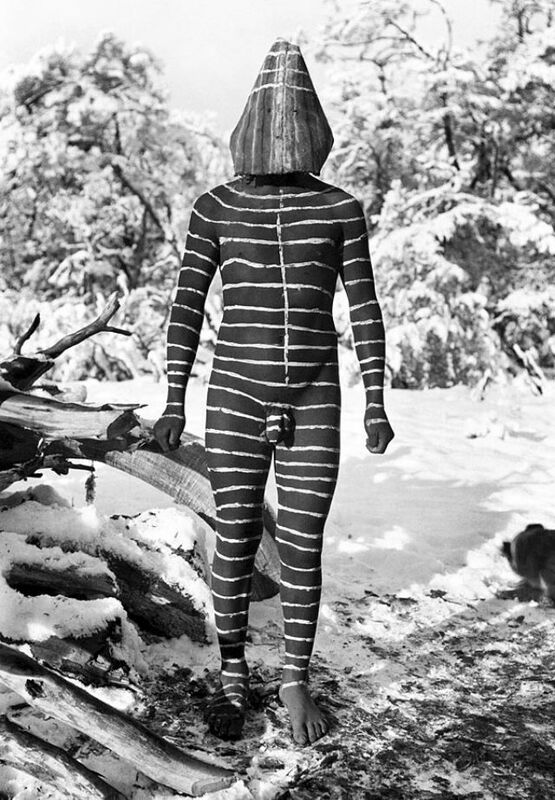 The Selk’nam, a stone-age hunting culture inhabited the Tierra del Fuego area of southern Argentina and Chile for 7,000 years. 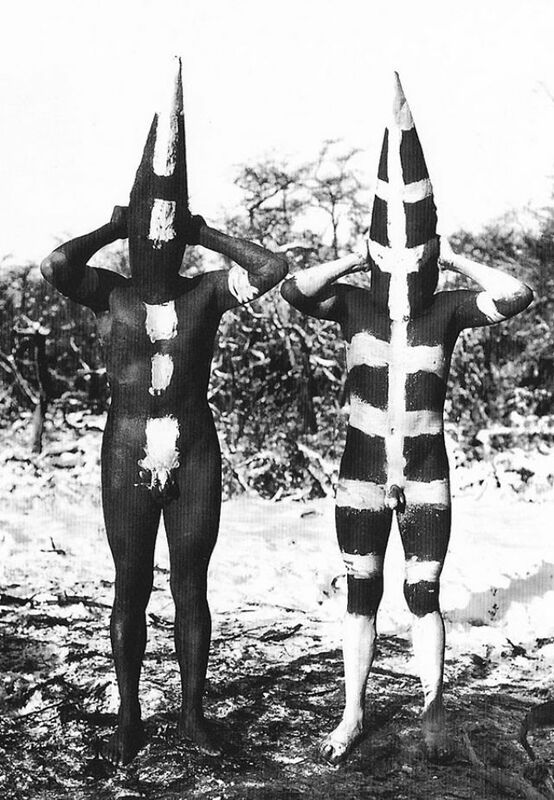 During those times the tribes lived nomadically and in tune with the land—hunting, gathering and fishing. 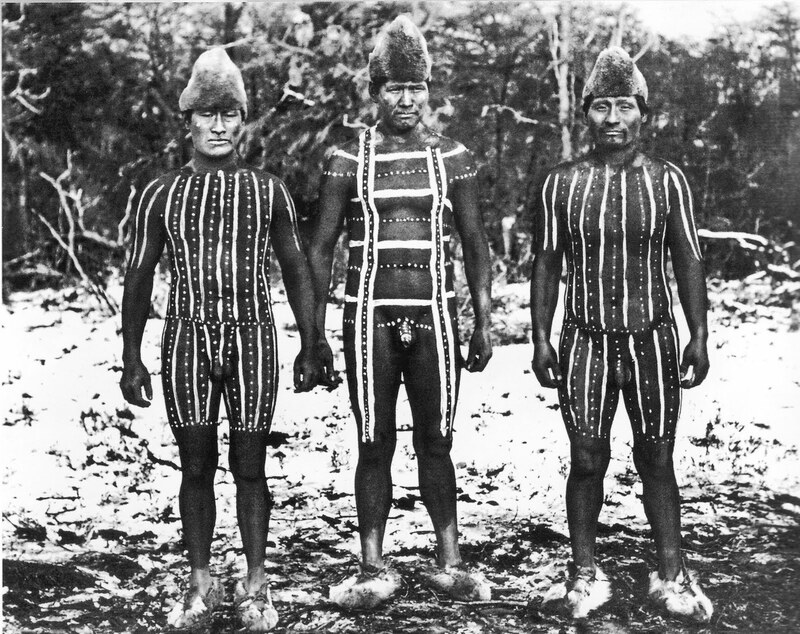 The Selk’nam had no chiefs, but were instead led by wise men (‘fathers of the world’) who were believed to possess spiritual power over people, weather and events. 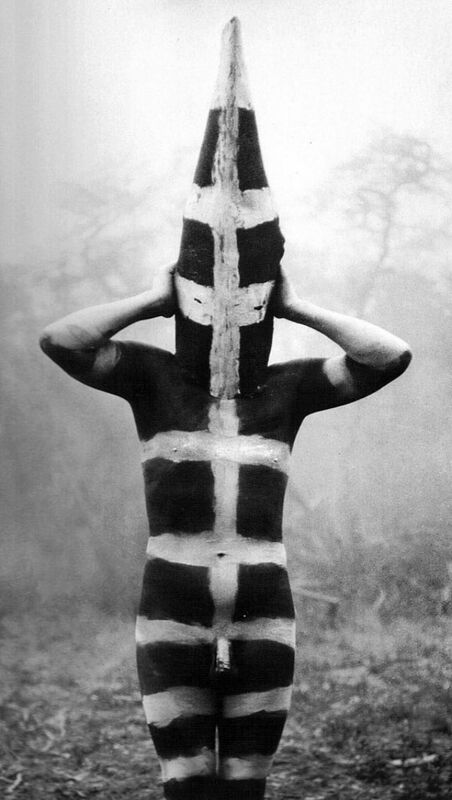 The tribe’s most sacred ceremony was the coming-of-age, or the ‘hain’. 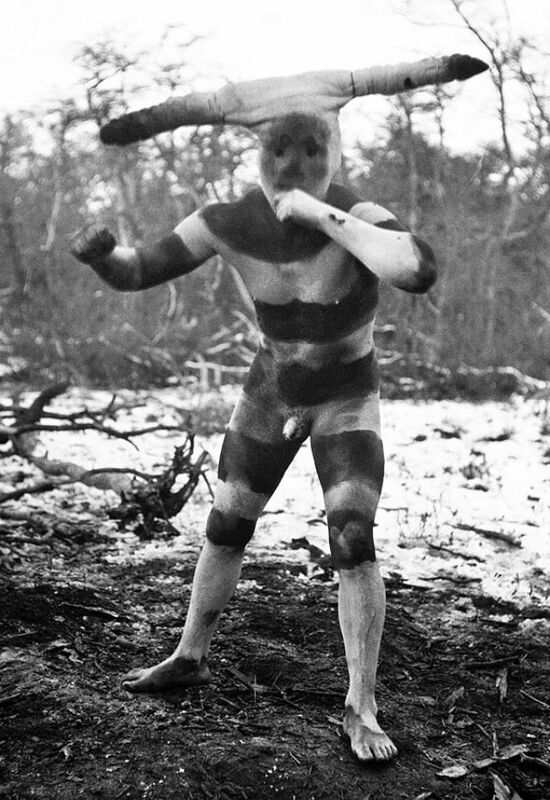 Adult male members of the tribe would be painted with red, black and white paint and don fur, down and bark costumes, impersonating much feared spirits. 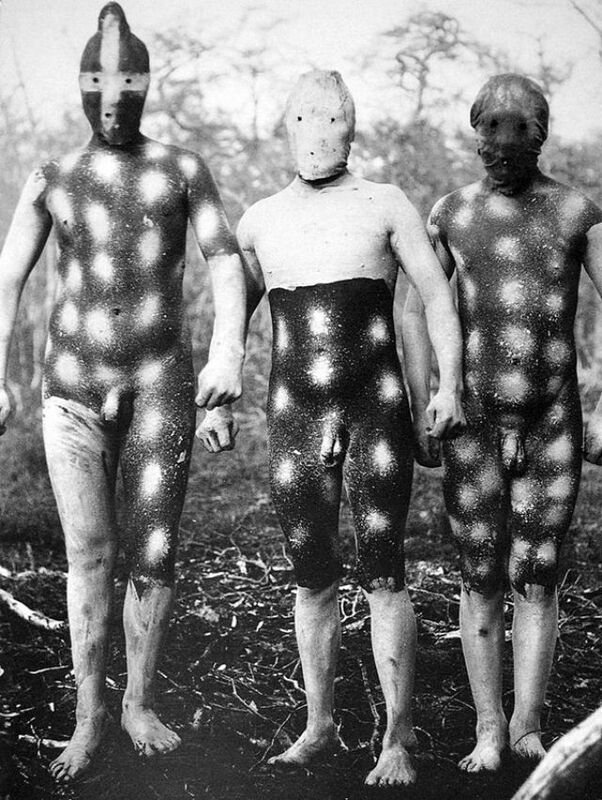 Over a period of days or weeks they would conduct a complex initiation to transition boys into manhood. 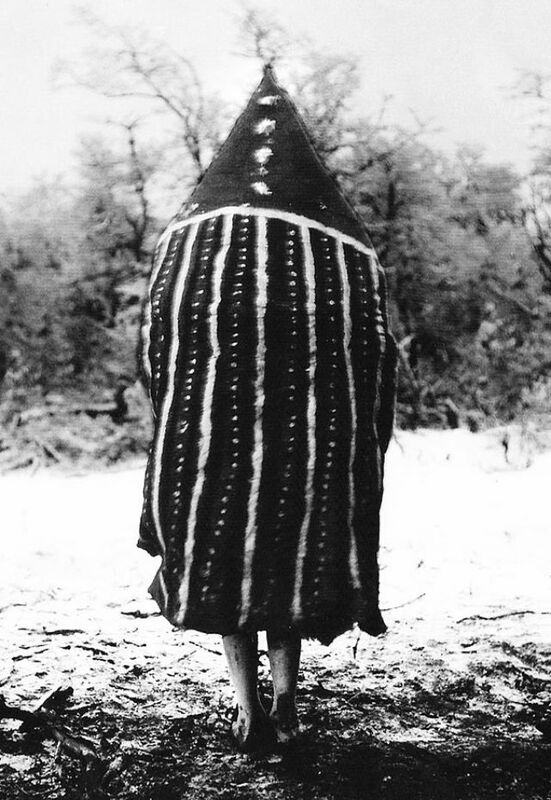 One of the last such ceremonies was performed in 1920 and recorded by the missionary, Martin Gusinde. 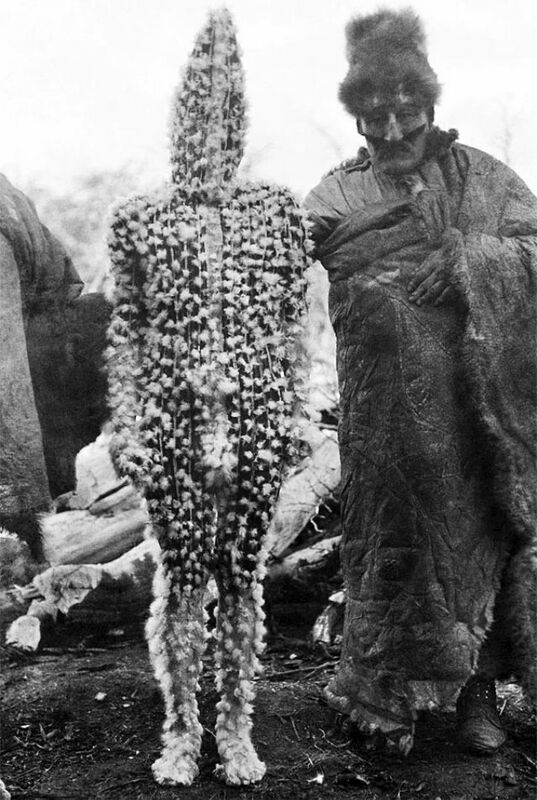 When Gusinde was ordained as a priest in Germany in 1911, he hoped to travel to New Guinea to work as a missionary among exotic tribes. 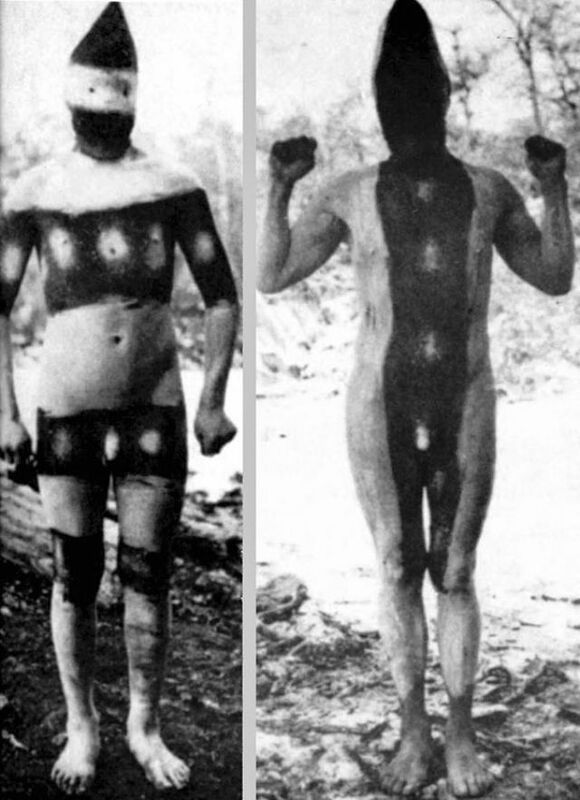 Instead, his superiors sent him to Chile to teach at the German school in Santiago. 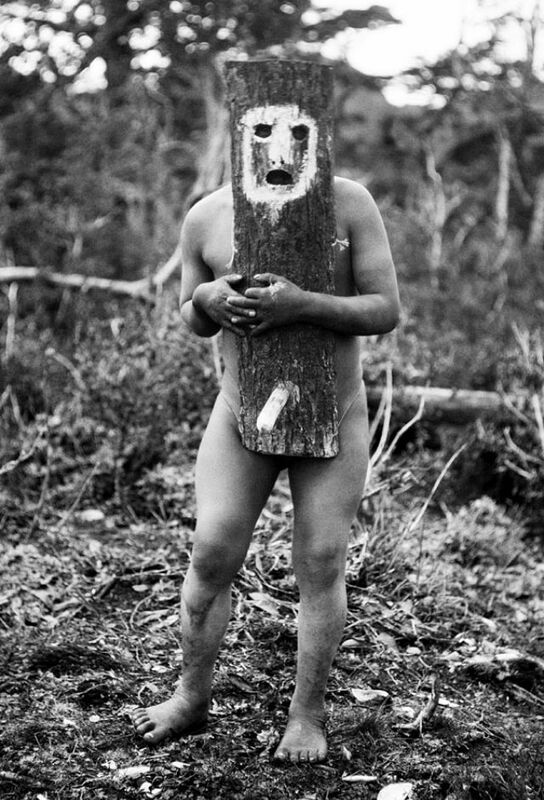 Within a few years, however, he found his calling at Chile’s Museum of Ethnology and Anthropology, carrying out expeditions to Tierra del Fuego in the far south of Chile and Argentina. 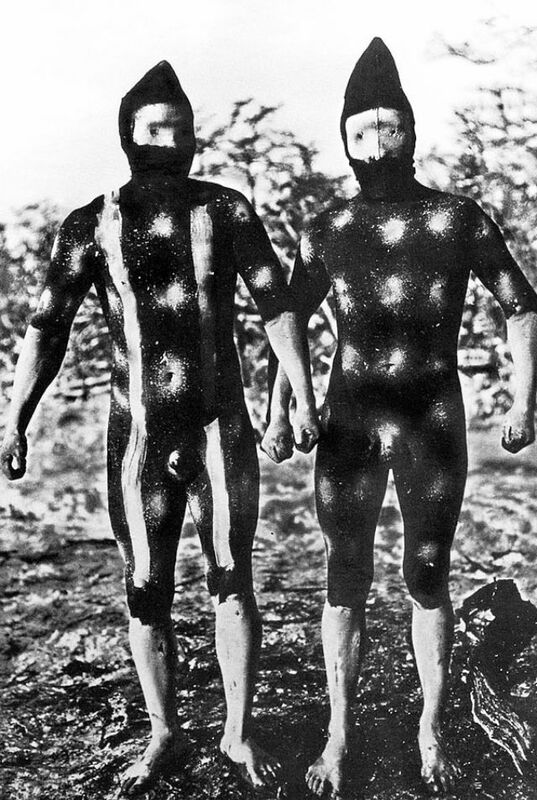 Gusinde first went to Isla Grande de Tierra del Fuego in December of 1918, filled with (in his own words) “indescribable enthusiasm” and “youthful dreams” of an encounter with archaic tribes. 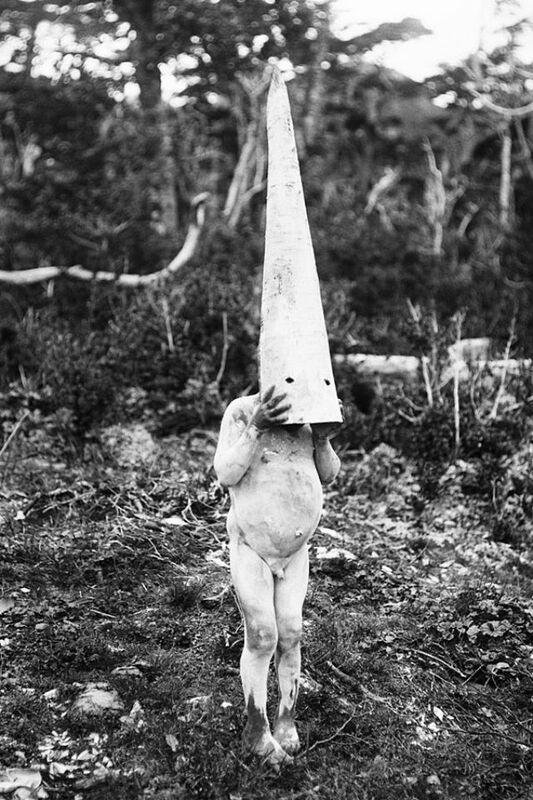 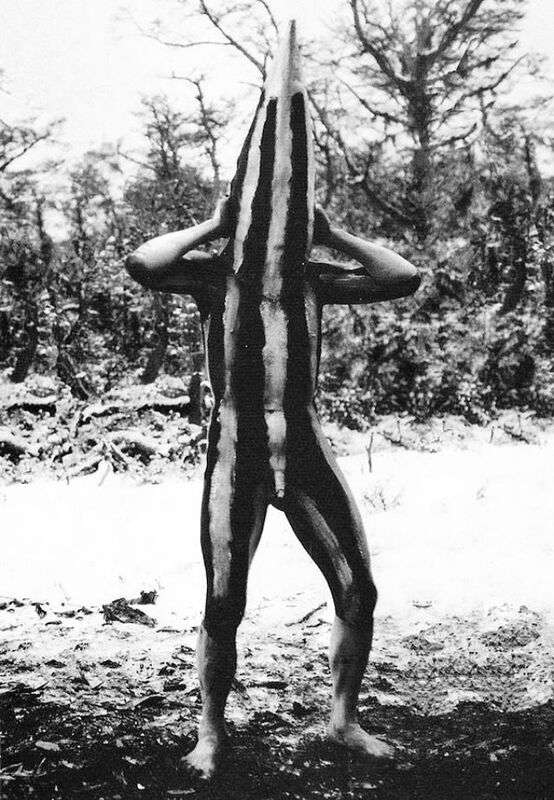 Gusinde’s haunting photographs of the Selk’nam, Yamana, and Kawésqar peoples present a way of life that was already on the brink of extinction when he visited the region in 1918–1924 and that has since ceased to exist.